Swell is a unique place to stay. 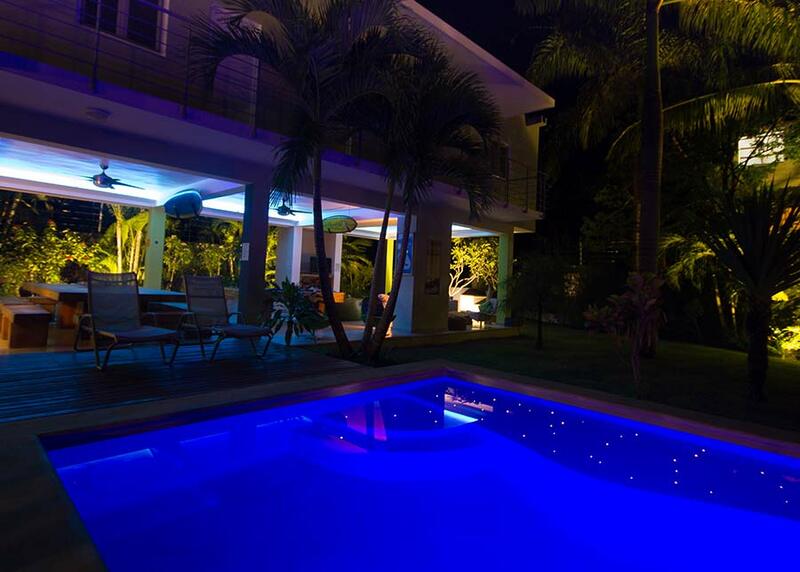 It’s perfect for you whether you arrive alone, are a sociable couple, or come with friends. 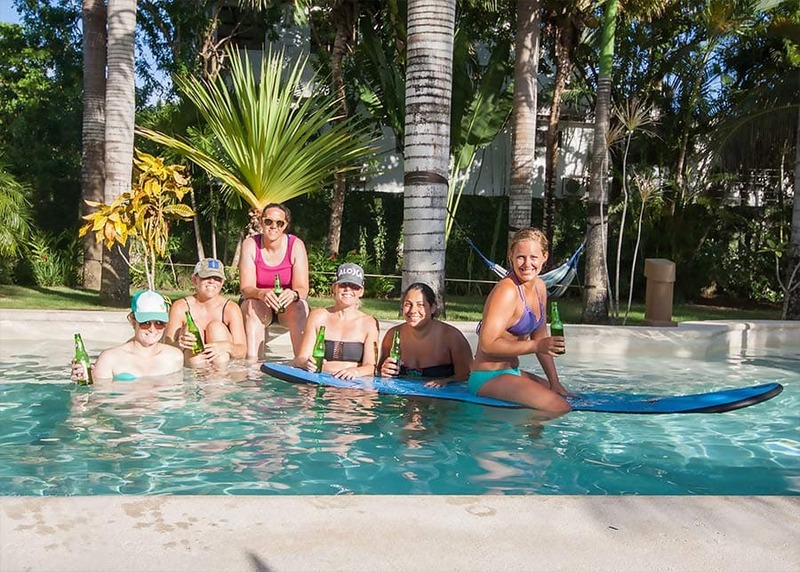 It’s all the fun of a surf camp experience but with added luxury and style. Explore our Dominican Republic Surf Camp below. Our guests are mostly professional people, generally aged between 22 and 55: However, if you are older or younger, age is no barrier because everyone at Swell shares a passion; to surf, to improve their surfing or to learn to surf from scratch. Swell's tropical gardens surround our lovely pool, with plenty of palm trees and hammocks so you can enjoy peace and tranquillity on your holiday. Lie in a hammock and watch hummingbirds between tropical flowers. 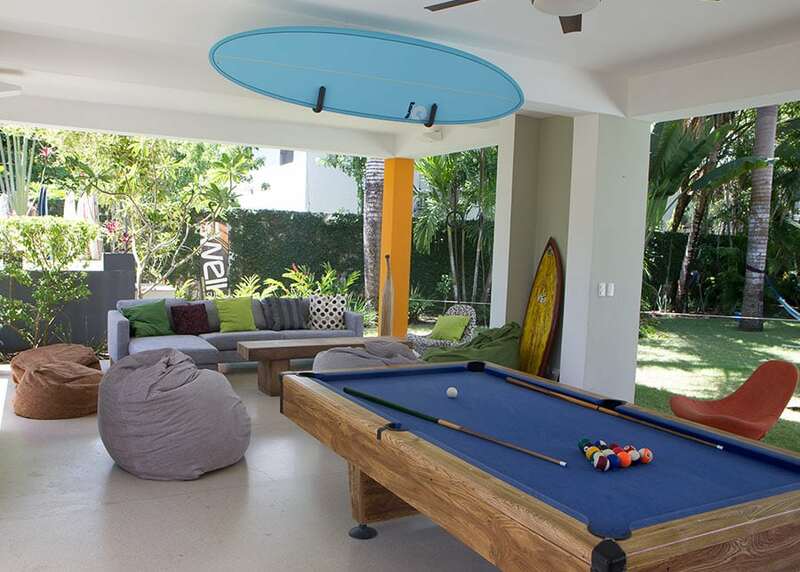 Swell Surf retreat is not just for surfers; we also welcome kitesurfers, yogis and anyone who just wants to stay in a sociable, stylish environment with a welcoming and fun communal area, great food and nice beds to sleep in. 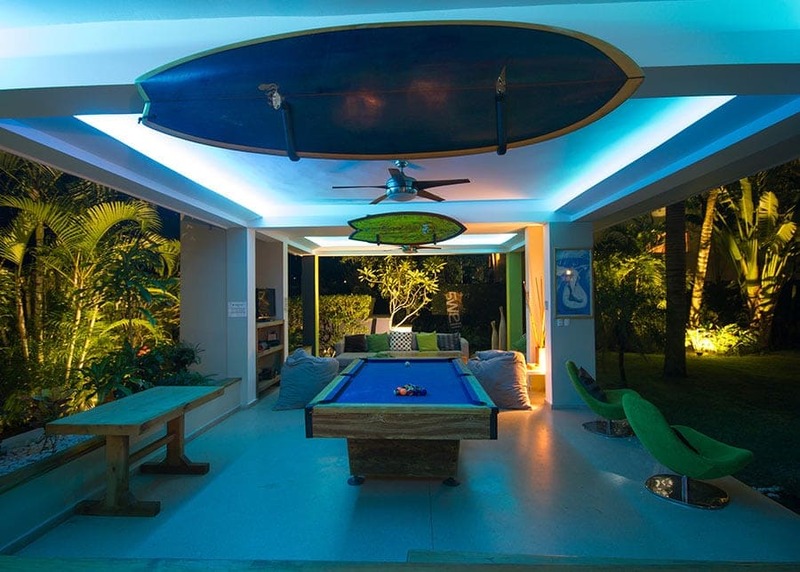 Staying at the #1 Surf Camp in the Caribbean is very different to any other hotel; As one of the few purpose-built surf camps in the world, its design centres on the heart of the building; a welcoming meeting place for our guests to quickly get to know their fellow travellers. If you arrive alone, you won't be by yourself once you are at Swell. Swell is like a warm embrace; you’ll immediately feel at home. 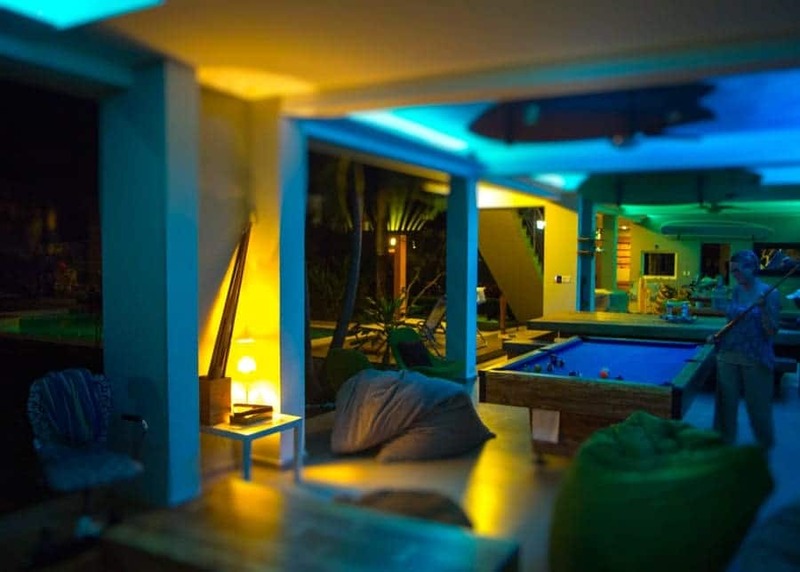 It has a uniquely relaxed vibe and by the very nature of their choice to come to Swell, our guests are naturally compatible: This is key to the welcoming and friendly spirit of the camp. Breakfasts and dinners are shared together around our huge dining table. 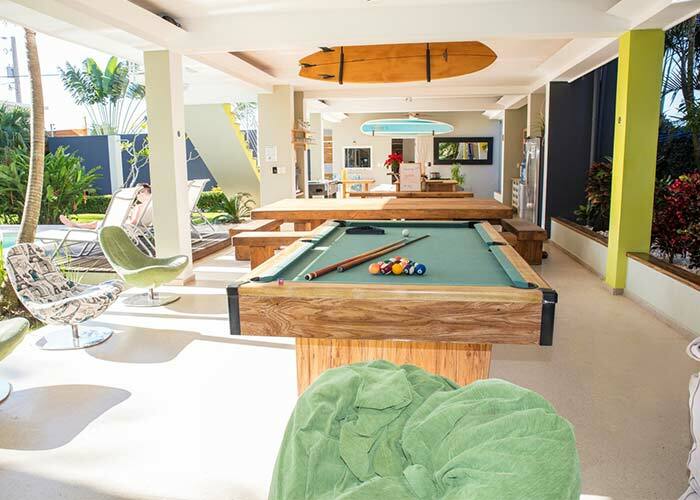 Guests can chill out on our sofas or over-sized bean bags, shoot some pool, play some cards or watch some movies. You’ll feel like you are part of a really fun, extended family. 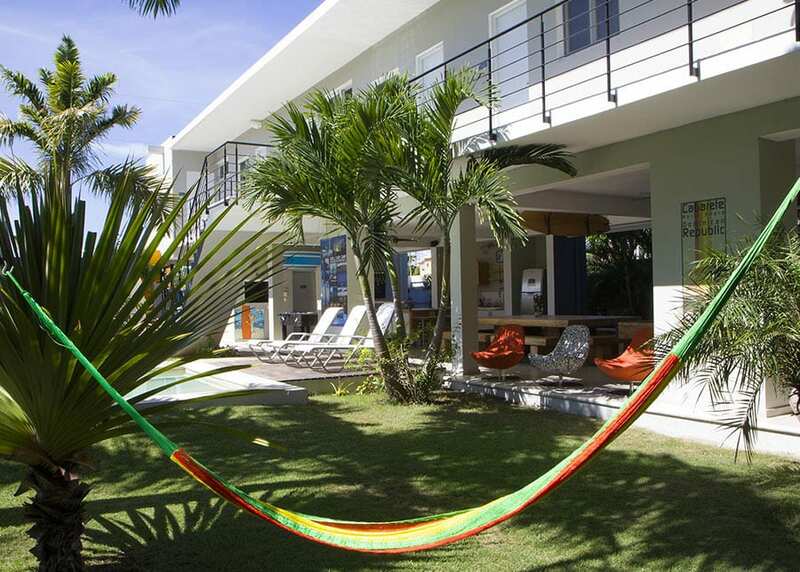 If you want some 'me time,' go and relax in one of our hammocks slung beneath the palm trees in our tropical garden. When we started to make plans for Swell, we had 1 goal in mind: to create the best luxury surf camp / surf retreat experience in the world! We are one of the only places in the world that was purposely designed from scratch by an internationaly known architect to be a surf camp. 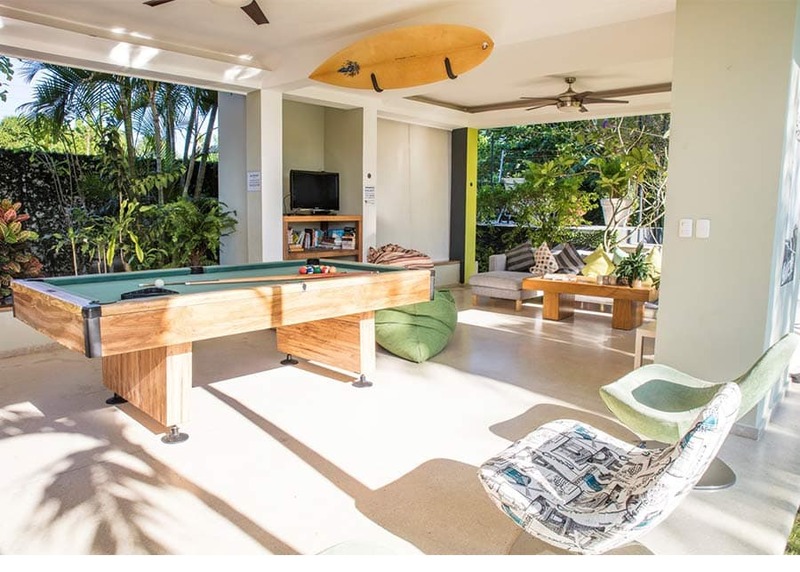 Unlike most other surf camps around the world that have converted an old rental house into a surf camp, this is not the case at Swell! Provide high quality how to surf courses. Provide our guests with super comfortable rooms. Serve tasty home cooked meals. 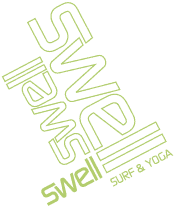 Swell Surf camp is located on the north coast of the Dominican Republic, in the centre of the cool Caribbean surf town of Cabarete. We chose this location of Swell because it’s right in the centre of Cabarete, so the beach, restaurants, shops and bars are all within walking distance from Swell. There’s no need for a car rental during your surf vacation at Swell. 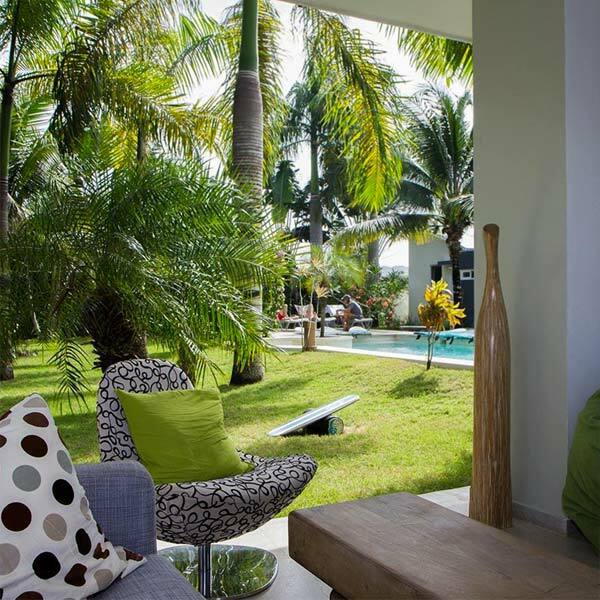 More info about Cabarete can be found here. At Swell we don’t have a fixed arrival day. We realise flight prices can change day by day, so you are free to arrive any day of the week at Swell. Off course we are biased in our answer, but if you have doubts on wheter Swell is the best destination for your surf holiday; have a look at the 100’s of reviews that our clients have posted on external sites like tripadvisor, facebook or Google. 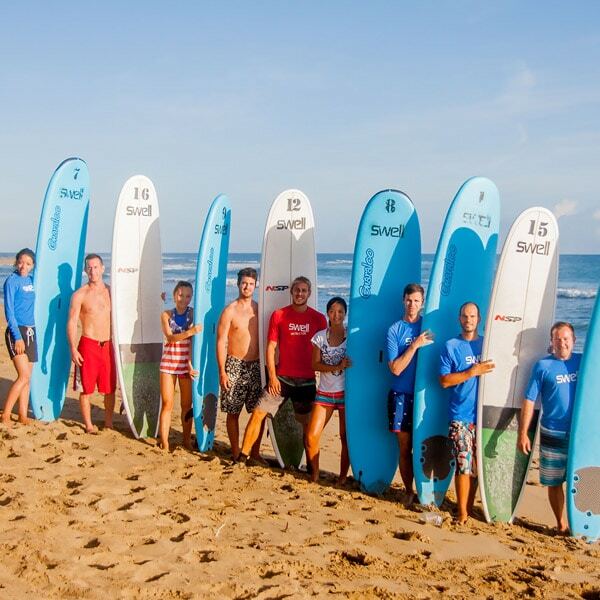 When we planned Swell we had 1 goal in mind: to be the best luxury surf camp……in the world! To achieve that goal we designed our building from scratch and employed the best staff: qualified surf instructors who have high quality standards & most importantly are aware that you have a choice on where you go on your surf holiday. As a result all Swell staff will try to make sure you get the holiday you deserve! The average age of Swell clients varies per week, but generally speaking the people that come to Swell on a surf vacation are aged between 25 and 50. That’s not to say that in certain weeks there’s more people in their 20’s than 40’s (or the other way around). Also we have had people in their 60 on a Swell learn how to surf course. Generally speaking we get more solo travellers or couples without kids than families. During popular holidays we also get families joining us for a family surf camp experience. If you are interested in joining us with your family, make sure to contact us asap, since spaces are very limited and fill up quit a while in advance. About 70% of the clients who come to Swell for surf retreat & active holiday, travels solo. As a result it’s real easy to meet like minded travellers from all over the world. 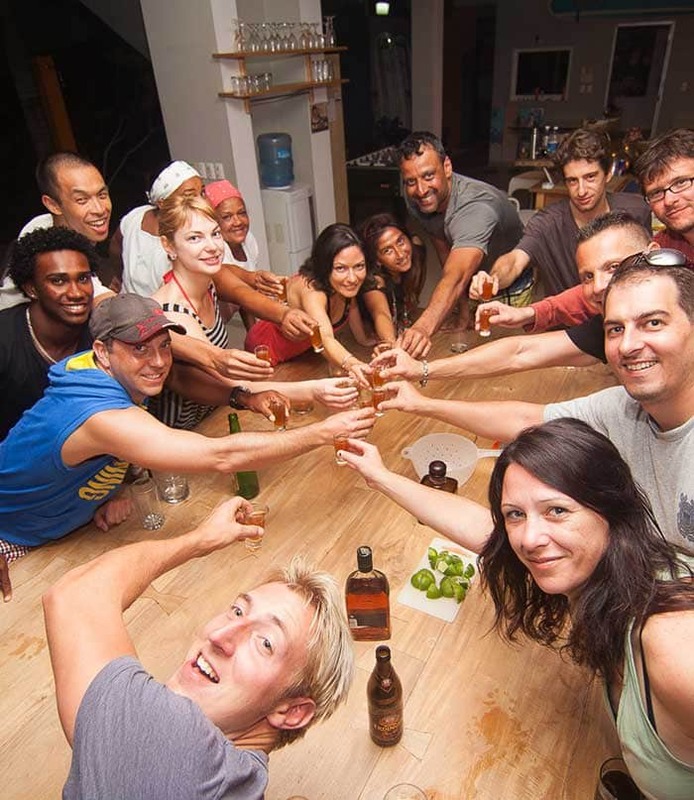 surf together, we have breakfasts and dinners together, so if you are looking for a social surf holiday then a stay at Swell will definitely be a great option for you. Have a look at reviews on external sites like Tripadvisor, and you will see the social aspect at Swell as the no.1 recurring theme. And it’s not just the single and solo travelers who enjoy the company of new friends. For couples or groups it’s also a great way to make new friends from all over the globe. After living in the Dominican Republic for 8 years and loving the great outdoor watersport lifestyle, Jeroen (from the Netherlands) and Clare (for the UK) decided it was time to share their knowledge of the Dominican Republic all that this stunning country has to offer with visitors from around the world. Clare and Jeroen were already familiar with surf retreats, resorts and surf camps in many different countries and having had to stay in some very ordinary surf hotel accommodation in their quest for great surfing waves, they knew that there was something missing in the surf market; a place which was still social, but offering better quality accommodation, great food, nicer beds, cleaner rooms: A stylish, luxury surf camp retreat. They set about designing the kind of place they would want to stay in themselves. So they hired a renowned Swiss architect for one purpose: to come up with the world’s first purpose-built, luxury surf camp. Since opening in winter 2009/2010 Swell surf instructors have taught 1000’s of people how to surf in a safe, fun and structured manner. Since opening, Swell has won multiple awards and has 100’s of excellent reviews from happy guests. Swell continues to be one of the top destinations for couples, groups and solo travellers to go to as the #1 luxury surf holiday. It’s not just surfing on offer at Swell; You can learn to kitesurf, take yoga classes, go horse riding on the beach or in the mountains and enjoy some truly spectacular outdoor adventure trips like canyoning for example. 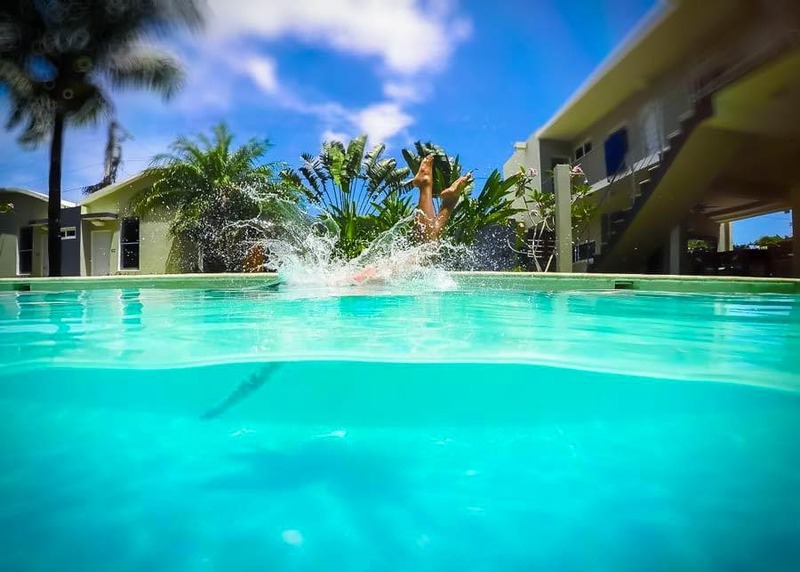 Swell offers package surf holidays that take all the hassle out of the planning, with airport transfers, transport to the beach and much more, so all Swell guests can enjoy a stress free holiday right from the start. You just have to book your flights, and they will take care of the rest! 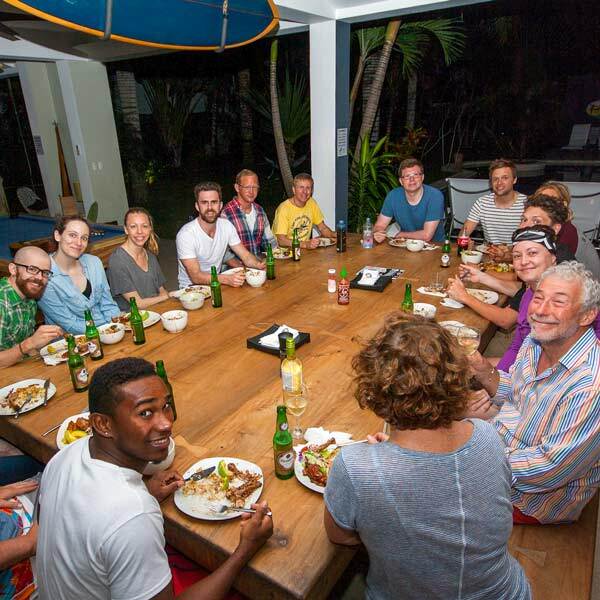 With great food being such an important part of anyone’s surf vacation, Swell delivers there too; with superb home cooked food at the camp and on the evenings when guests go out to dinner, a large choice of restaurants offering a comprehensive choice of dining are all within a few minutes walk. Have a look and see what a typical action packed adventure day with the best surf vacation for beginners in Central America is like.